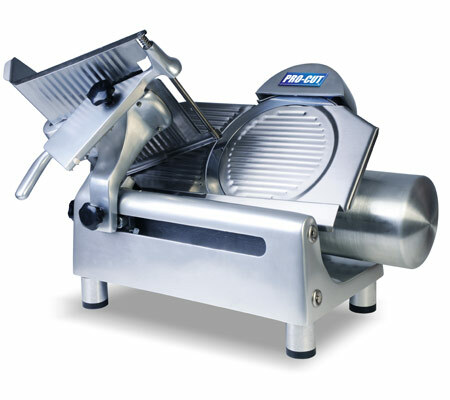 This professional heavy duty slicer with its powerful gear transmission will allow you to slice all kind of red meat without a bone… even semi frozen cuts! You will also be able to slice all kind of cheeses like cheddar and Monterey Jack. 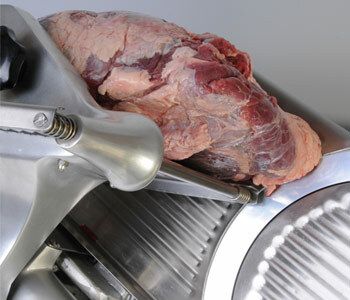 Its transmission will allow this unit to provide you with years of continuous use. 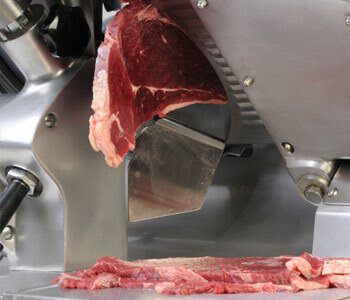 This is the kind of slicer you can use for several hours every day. Machine Size: 22" x 21" x 18.5"
Overall Size: 22" x 21" x 18.5"